It’s perhaps because of this rainy and grey London day that makes me dream of sunny landscapes or the fact that only last week I was actually driving there, but this morning I literally woke up with the “need” and such a eagerness to write of Tuscany. I don’t want to call myself a Tuscan expert nor I expect this article to be credited as a travel guide (as a matter of fact, my trips to Tuscany always took place in the same area, eg. the province of Siena). 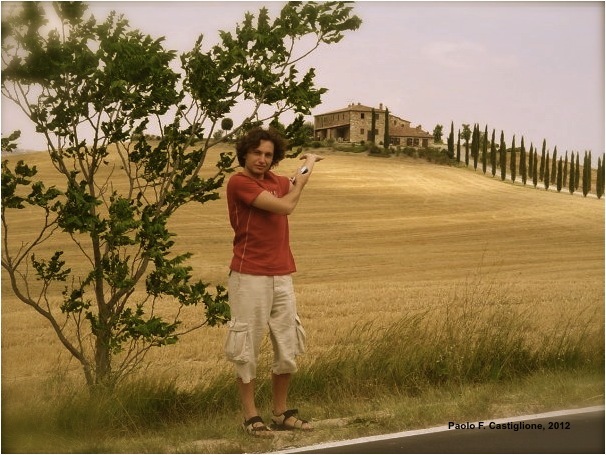 I just happened to journey there quite often while I was living in Rome, and I will share here what I got to learn and see but above all, I will try to give you a perception of the real Paolo-experience. 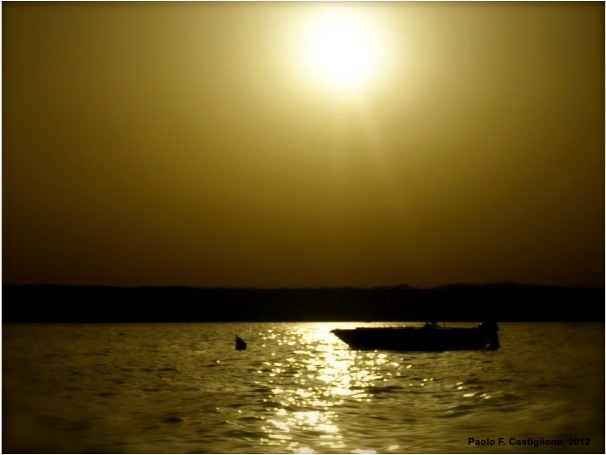 Our journey will start from the town of Bolsena, which resides on the lake that takes its name. 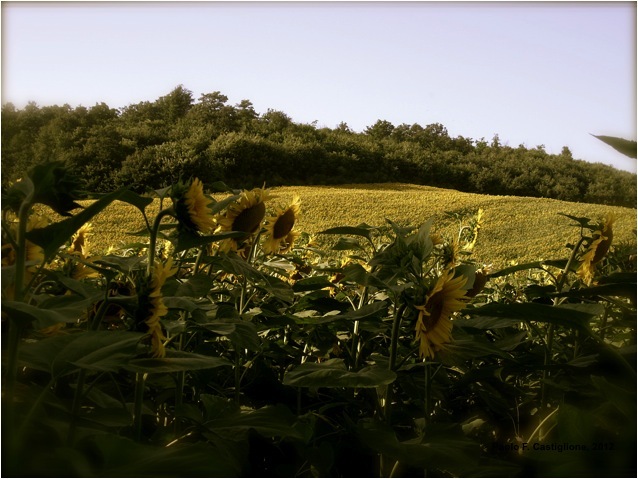 Technically Bolsena is in Latium, a different region than Tuscany, but its strategic position just on the border between Tuscany and Umbria makes it a good start for who wants to venture in a wine-gastronomic journey through two of the most visited Italian regions, Tuscany and Umbria. I like to consider Bolsena some sort of a second home, although I don’t have any blood bonds with it. None of my relatives live there, nor do I have family roots in that area. I just happened to meet Bolsena for the first time in 1994, when I was 15, during a 10-day long boy-scout camp (yes, I was a boy scout!) After that, I went back there for a weekend in December 1998 for what I now recall as probably one of the milestones in my life. Up to now and since then, I have been going to Bolsena at least once a year (even more before moving to London), and for some strange reason, most of the times it turned out to be a worth-to-remember occasion, of those that one treasures in one’s heart. The town is easily reachable from Rome, about 120km, and is just on the Via Cassia, one of the ancient Roman roads which linked Rome to Florentia (now Florence). The Via Cassia is by far my favourite old Roman roads that are still used in Italy, although I was born and grew up on another of those, the Via Casilina, which linked Rome to Casilinum, now called Capua. 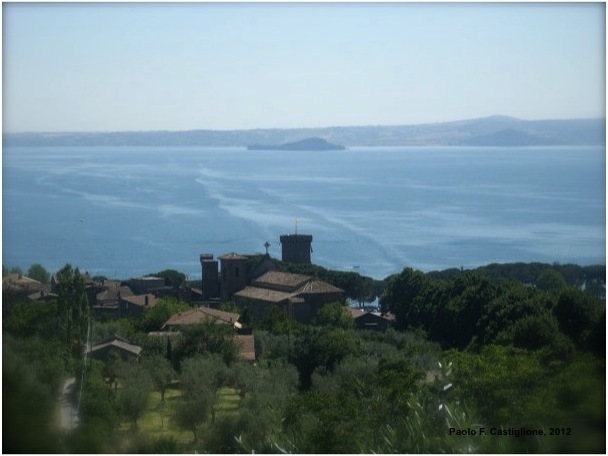 Throughout the summer, Bolsena is a joyful and event-full holiday destination, when hordes of German and Dutch tourists (Italians as well) drive all the way down there to spend their vacations on the lake’s shore, exploring the surrounding areas. During the cold season, the place turns into a napping village, where only locals live, where the sun goes down at 16.30, shops closes at 18.00, restaurants stop serving food at 21.30 and where walking through the narrow streets of that medieval village, breathing frozen air mixed with chimney smell, makes such a simple thing like a fireplace, a bowl of Ribollita soup and a glass of wine (obviously the Est Est Est), the most desirable thing on earth. I personally enjoy Bolsena during the summer, but I love it during the winter. Nonetheless, our trip takes place in June, when the weather is already warm enough to bathe in the lake and the Germans and Dutch have not crossed the Alps yet. Being myself so lucky to have friends there who have always opened their doors to me, I happened to stay in a local hotel only twice, which is the only one that I have tried and can recommend. The place is called Le Naiadi, cosy and up to the local standards of the countryside hotels. For the most adventurous, there are plenty of camping sites in and outside the town. Coming from Rome, I suggest stopping off at Bolsena for one night, which is enough (although one might consider to stay more in case of a visit to the short-drive distance towns close by, such as Orvieto or Civita di Bagnoregio). Whatever you decide, my tip to you is to save some time in the evening to just chill out on one of the small beaches just outside the town. The water has been warming up all day long by the early summer sun, the wind is blowing towards Marta, on the other side of the lake, making our side’s water calm and clean. After a swim, we have the time to wrap in our towel to dry while sitting on the sand. The swans and the ducks that share the same house there pass by and as the sun goes down behind the hills at west in front of us, our belly starts complaining and reminds us that the swim actually made us hungry and it’s time to go and look for a local trattoria, which probably will have outside tables on one of the narrow, old streets of Bolsena. Bagno Vignoni is a fraction of a bigger village, San Quirico d’Orcia, with about 30 inhabitants and it takes no more than 10 minutes to walk the whole perimeter of the village. What makes it peculiar (other than its size) is the huge pool of hot springs water just in the middle of it. The pool consists of a rectangular tank connected to a stream coming from an underground volcanic aquifer and which was built during the 16th century, when the place was a famous destination used by the Popes to go and join the thermal water. Next to the pool (which is obviously not used nowadays), there is a communal SPA open to the public, other than the many other SPAs around and makes it a known thermal area. Recently, they have restored the old small pools that were used by Romans and Etruscans and which makes it an interesting and fascinating archeological site. The many hot streams (where usually people sit by to rest their feet in the water) form a small waterfall that from the Bagno Vignoni’s hills jumps into the river Orcia. I was there last year with William and we ate at Osteria del Leone. This really sweet lady comes by to take our order and starts speaking in Italian to me, with a slight accent that I couldn’t well define. Will, who doesn’t speak the language, looking at how we were engaged in an Italian conversation, thought she was one of my con-nationals and when she took his order speaking in English, he said in awe “Your English is so perfect!”, remembering what I had said about Italians liking being told they speak a good English (but completely forgetting about me hating when such compliments are addressed to somebody else and not to me!) The sweet lady put on her best British attitude and replied “Thank you very much but, as a matter of fact, I am from England”. English-speaker friends, if you want to be nice just tell her she speaks an amazing Italian. Which she actually does. For the rest of the journey, we will leave the via Cassia for a while and will venture in a smaller, unpaved, countryside road. Your driving skills will be put through the mill and I will take you where no guides will ever take you. But trust me, it is worth it. ← Scontri culturali. Lavaggio piatti all’italiana. how many lovely memories of those days, roads and places. Lovely Tuscany, lovely Latium.